This ship has sailed now, with Reigns' botched push to the top leaving him months away from building up the level of connection he once had circa Payback 2014. Heck, you could even argue that the fans started to turn on Reigns because of Cena, both men raising each others' arms before Battleground a sign of stale things to come. The WWE chose to have Reigns go up against Randy Orton and Big Show, to cement his run as a top babyface, hardly two of the most thrilling competitors for the job. 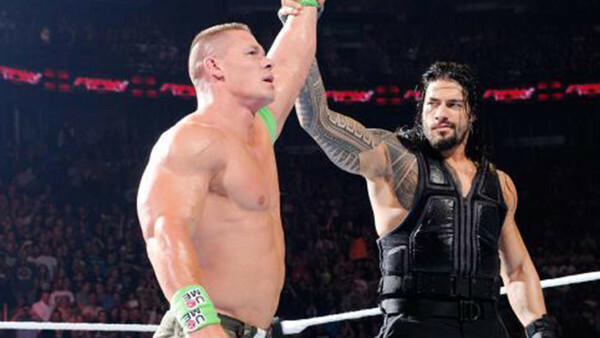 If they had really wanted to light the rocket push under him that they did, they should have turned Cena heel on him. 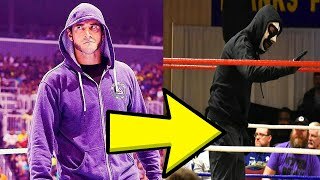 Had the company run an angle throughout the entirety of the post-Summerslam 2014 season of Cena, frustrated at his crushing loss at the hands of Lesnar and furious that Roman Reigns is receiving all of the attention, suddenly turning and brutalising the ex-Shield member, it would have made Reigns as hero a much easier pill to swallow. Fans would have been less hesitant for him to become the 'Nu Cena' if the current Cena had suddenly re-invigorated his character. It's possible that the universe would have been too shocked to notice Reigns being shoved down their throats, and by the time the Royal Rumble rolled around, Roman could have had a loyal fanbase behind him.